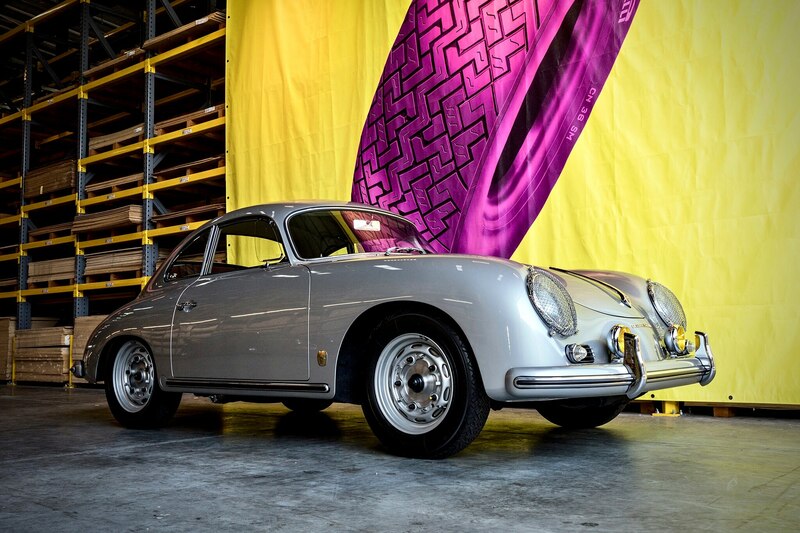 The boys behind Luftgekuhlt have cracked the code. 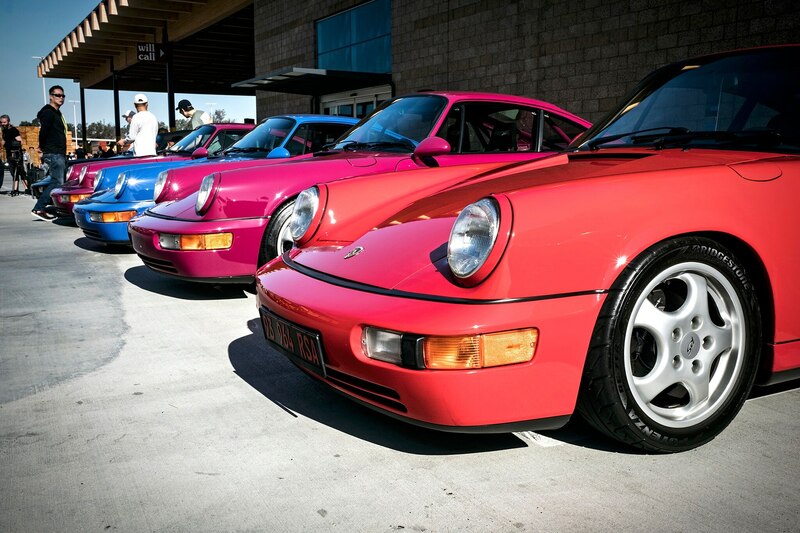 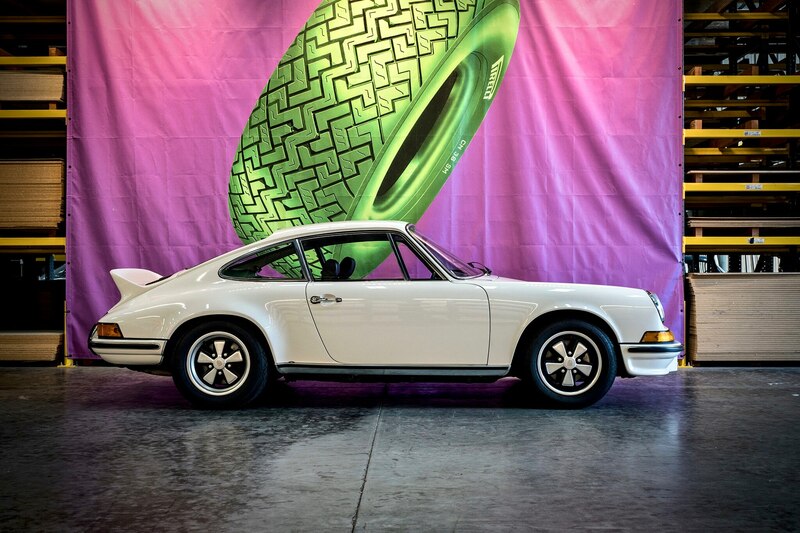 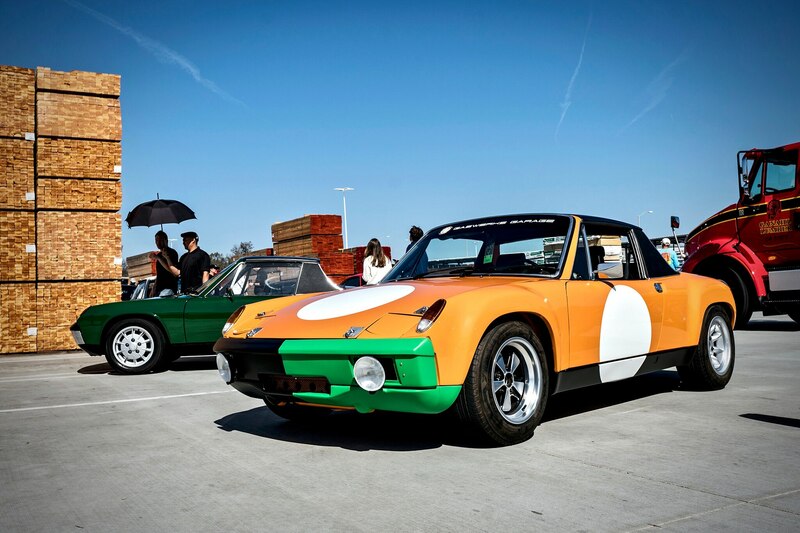 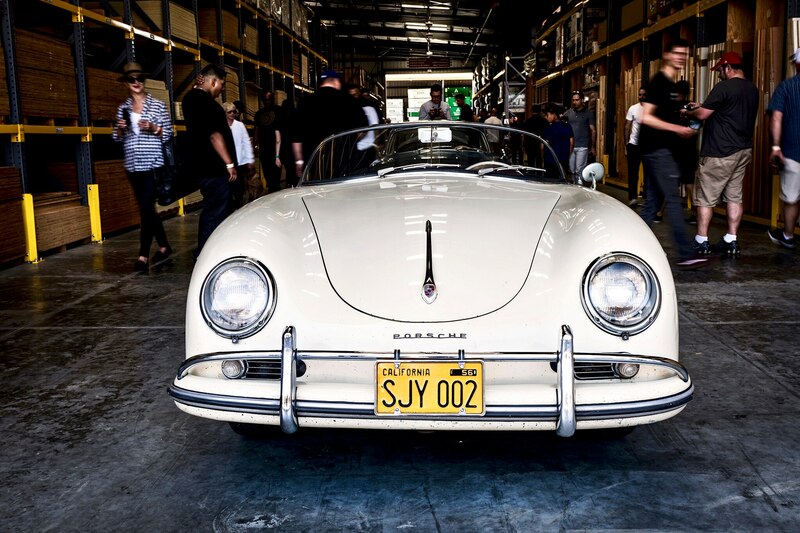 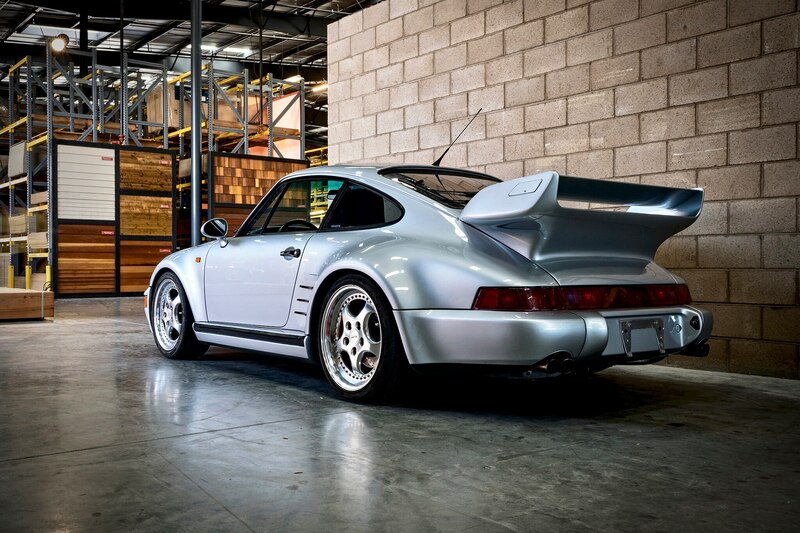 Starting somewhere around February, California’s favorite car cult begins to resonate with a nervous energy, flooding Instagram with pictures of preparatory work on their airooled Porsches ahead of the show. 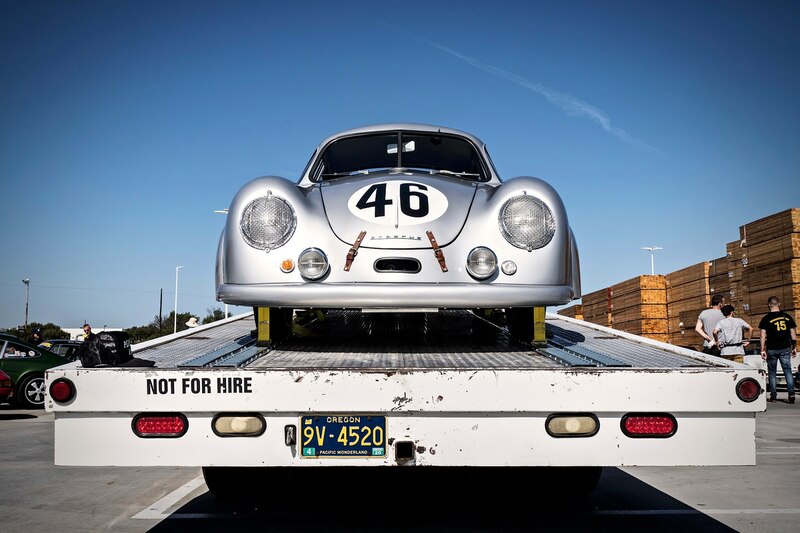 There’s good reason for this hype, considering organizers Patrick Long and Howie Idelson continue to one-up themselves each year. 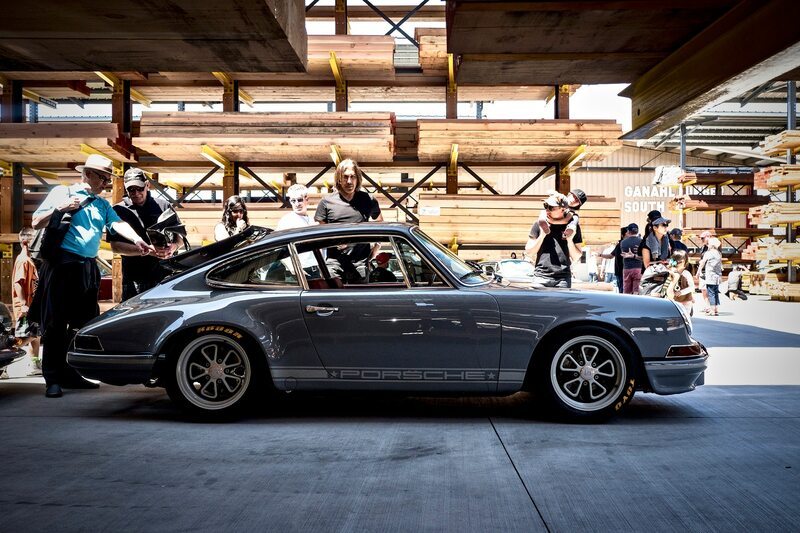 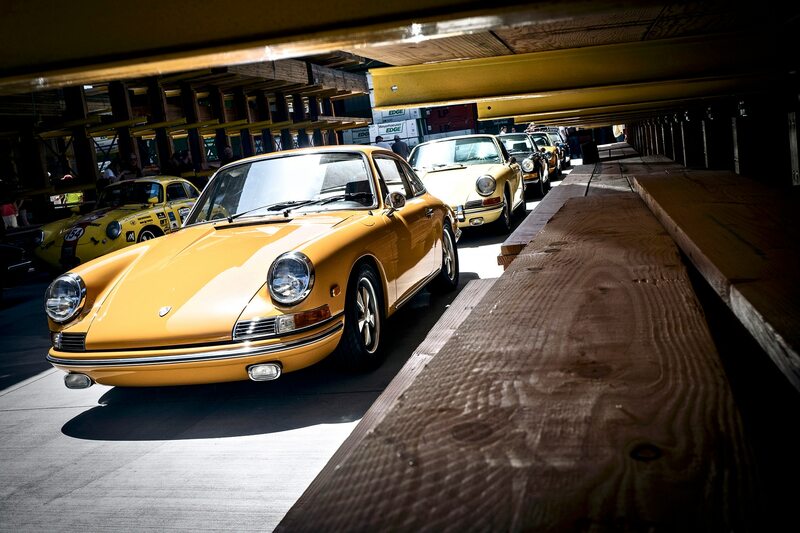 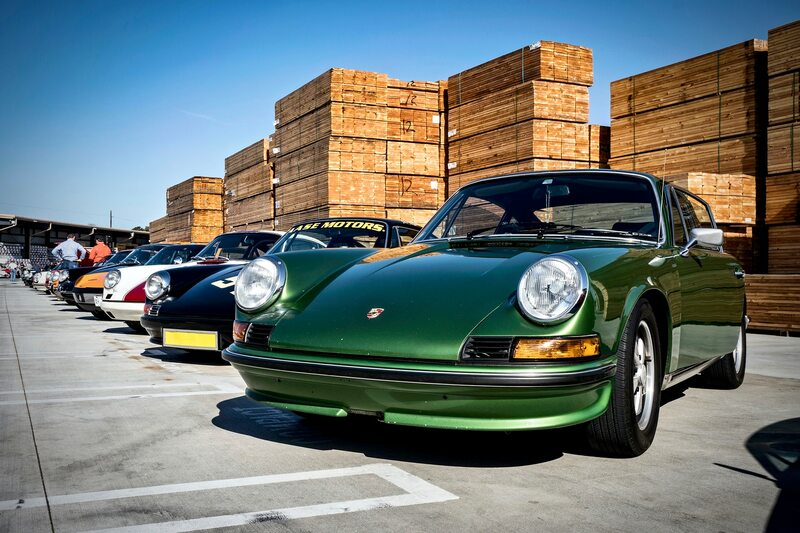 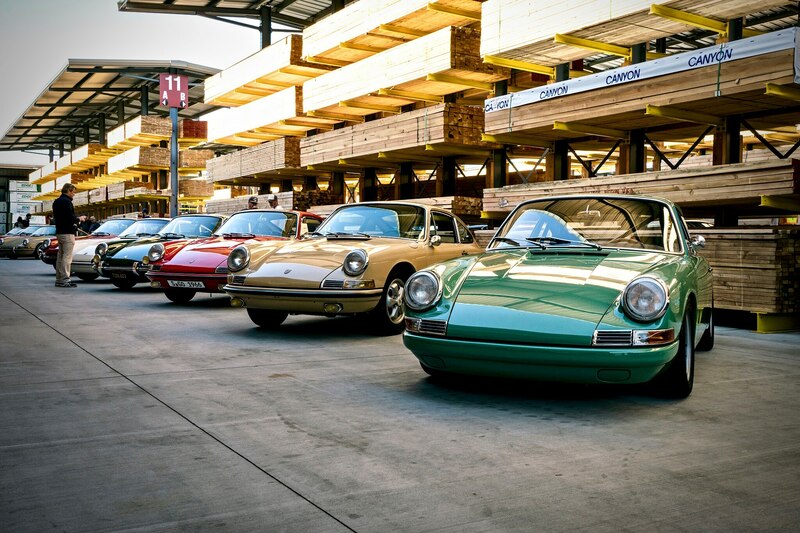 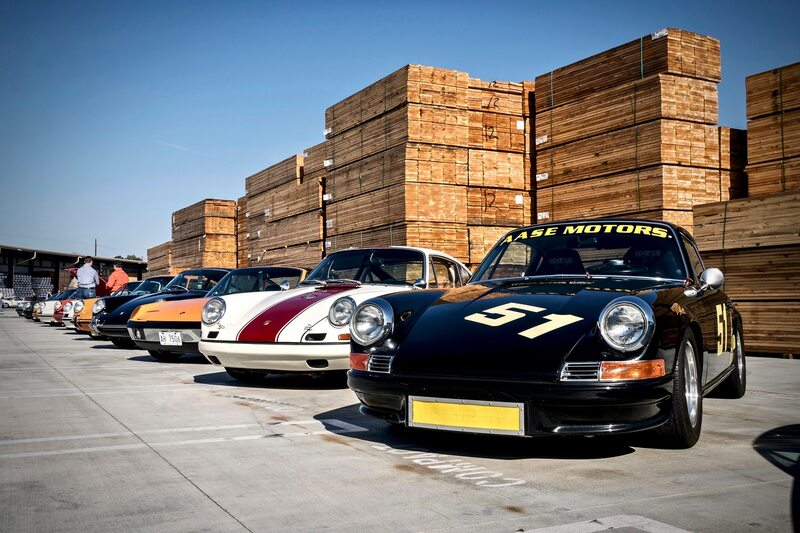 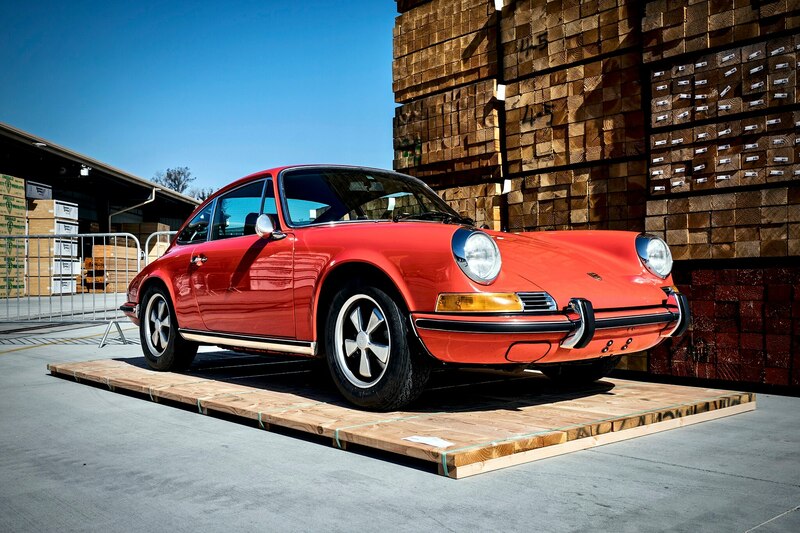 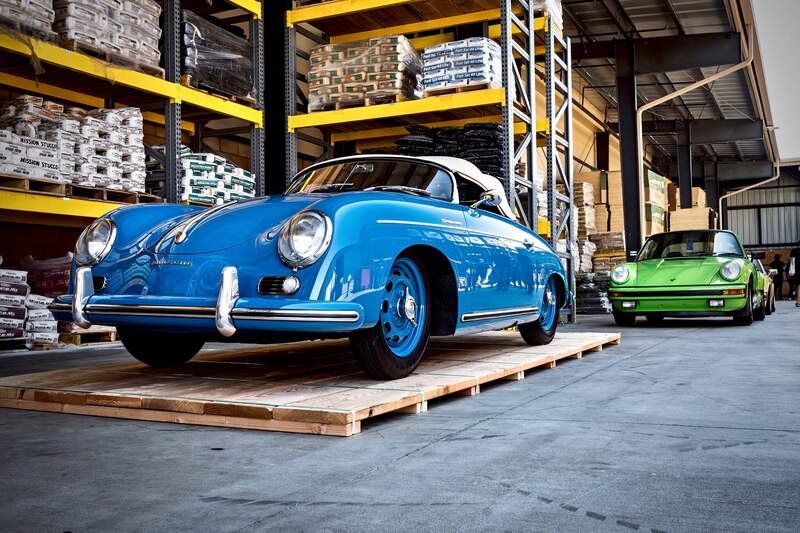 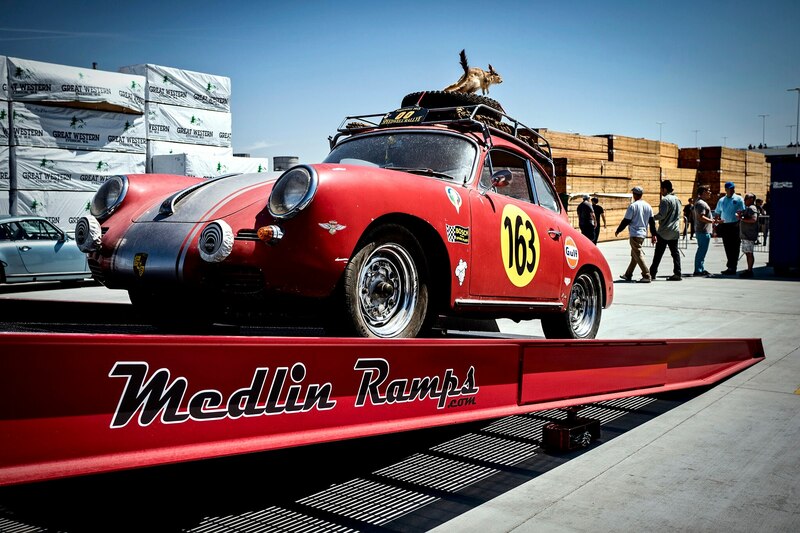 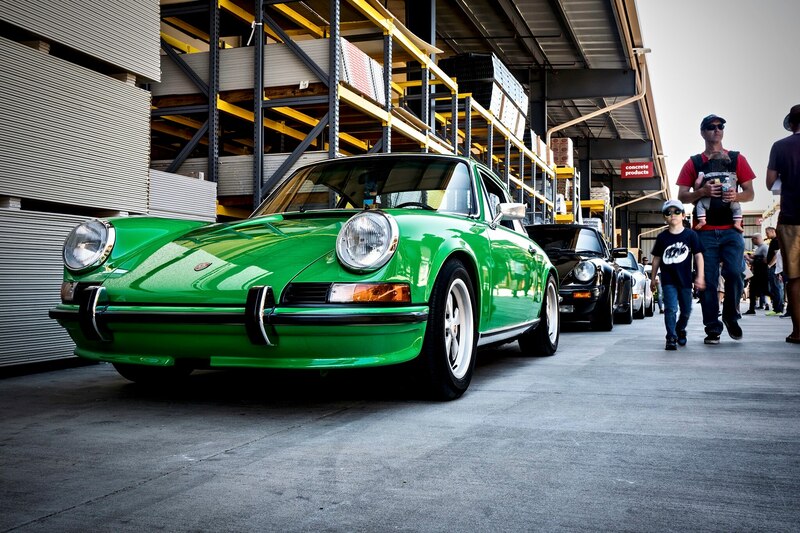 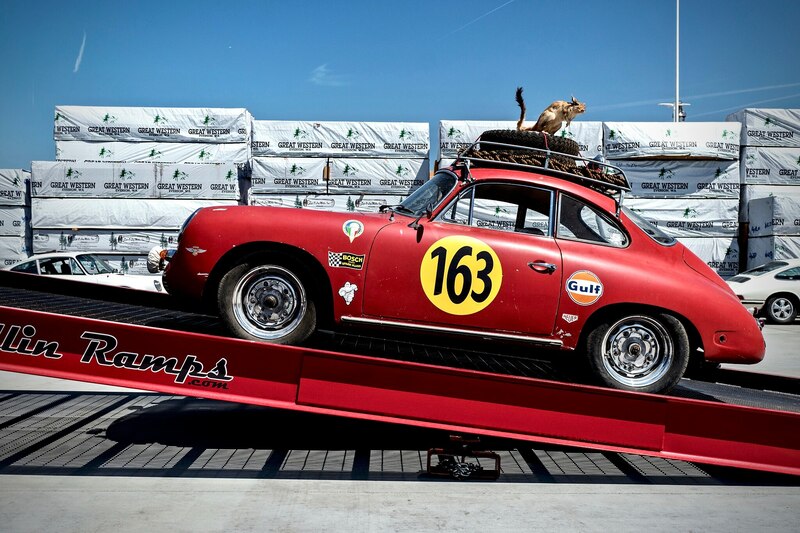 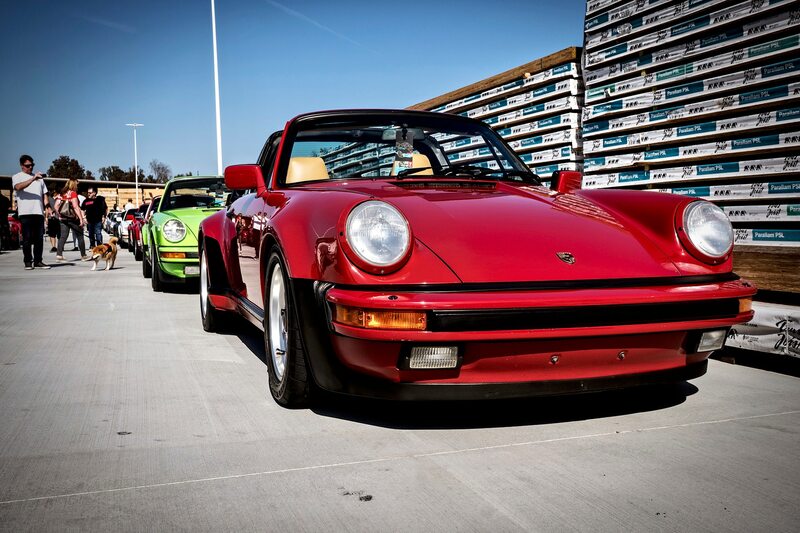 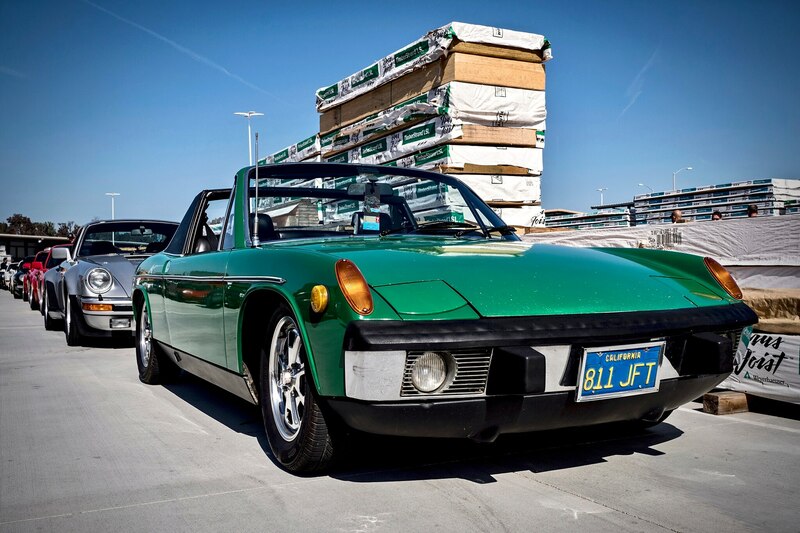 Moving forward from last year’s excellent show held at a Port of Los Angeles warehouse lot, Luft 5 parked a stunning collection of rarified Porsches between stacks of superb-smelling lumber at a newly opened Ganahl Lumber yard. 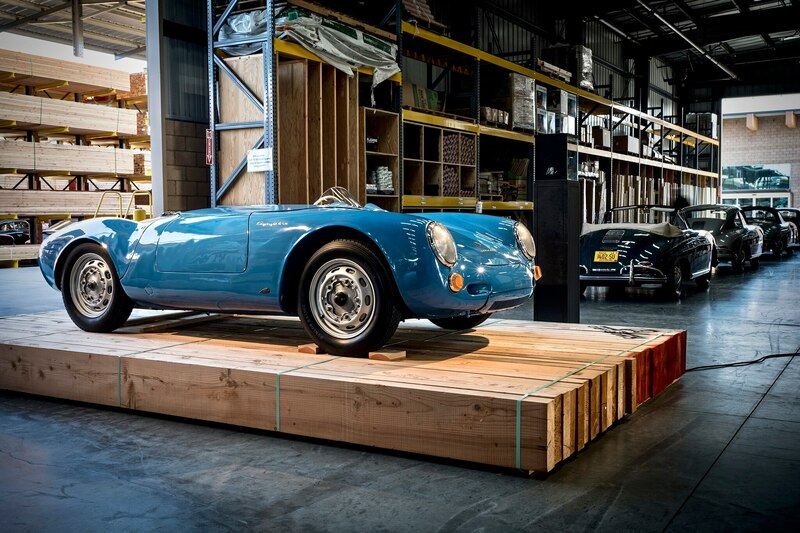 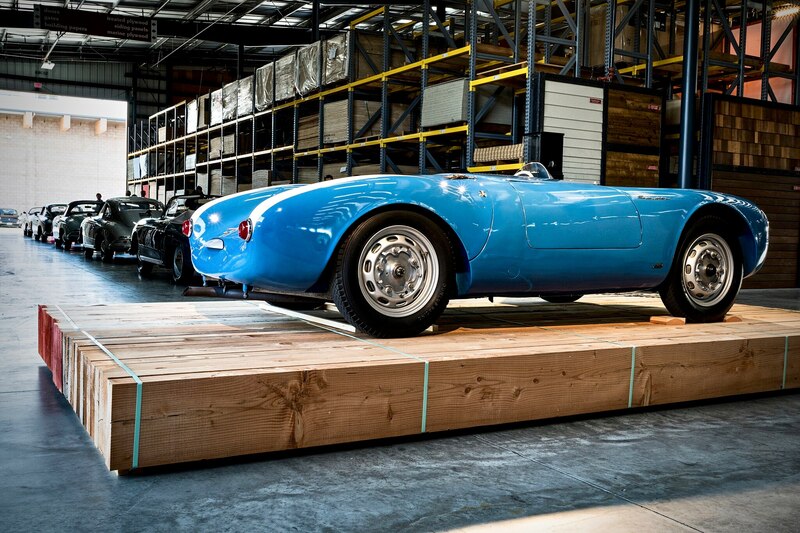 Ever the romantics, the Luft team made the connection between the early days of the automaker when the first batch of 356s were designed and handbuilt in an old Austrian sawmill. 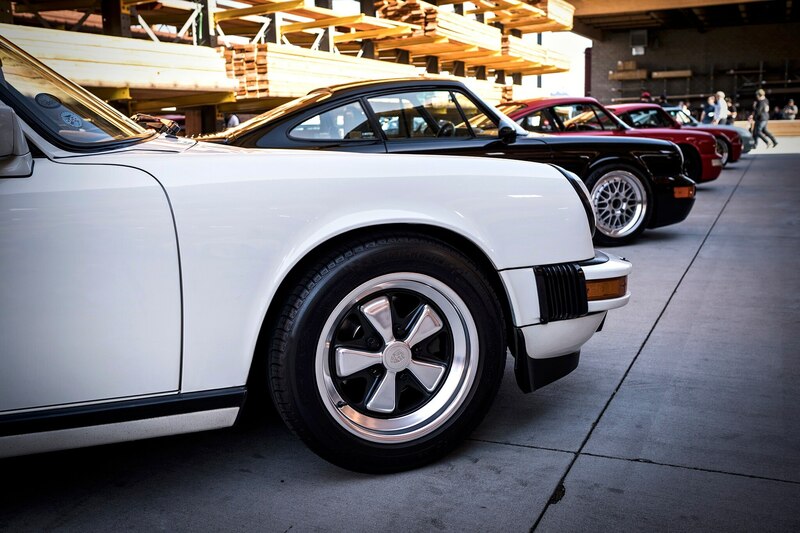 The days of hammer-beaten aluminum is gone and Porsche has moved into more modern digs, but the aesthetics of the venue were unmatched. 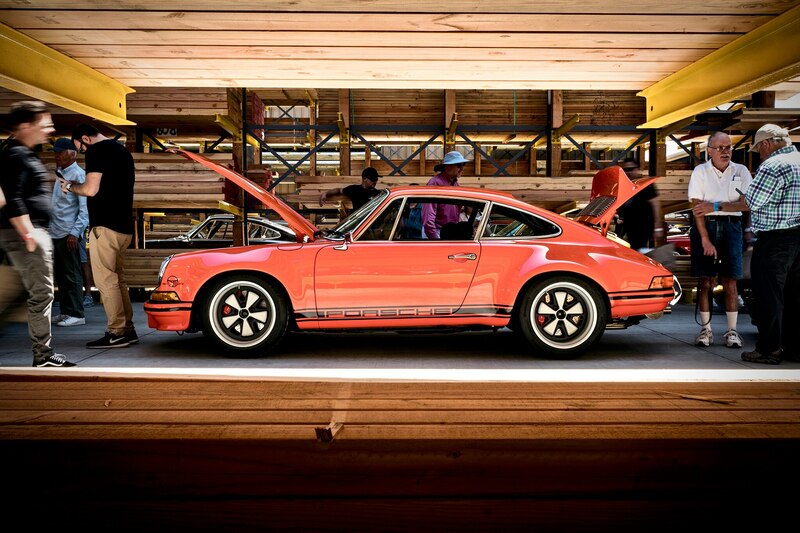 Nestled in every sap-covered nook and cranny of the lumberyard were some seriously life affirming P-cars. 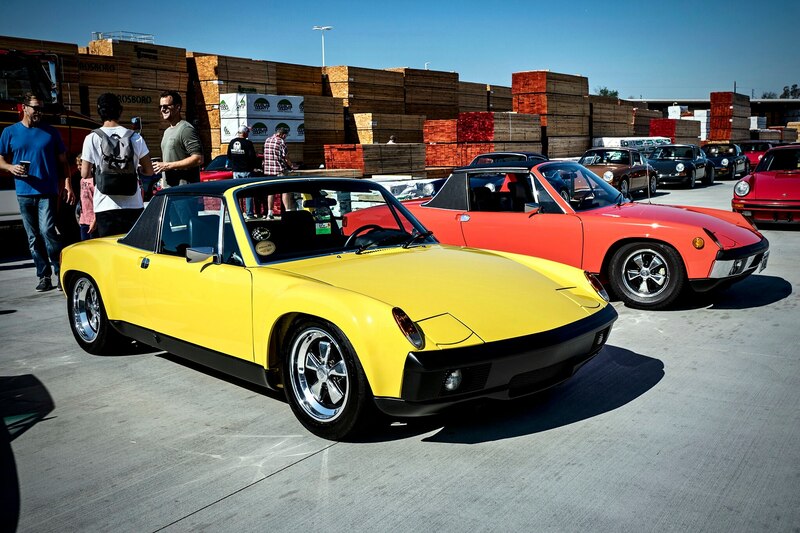 It’s an impossible task to pick the best of show, but here are seven stand-outs from Luftgekuhlt 5. 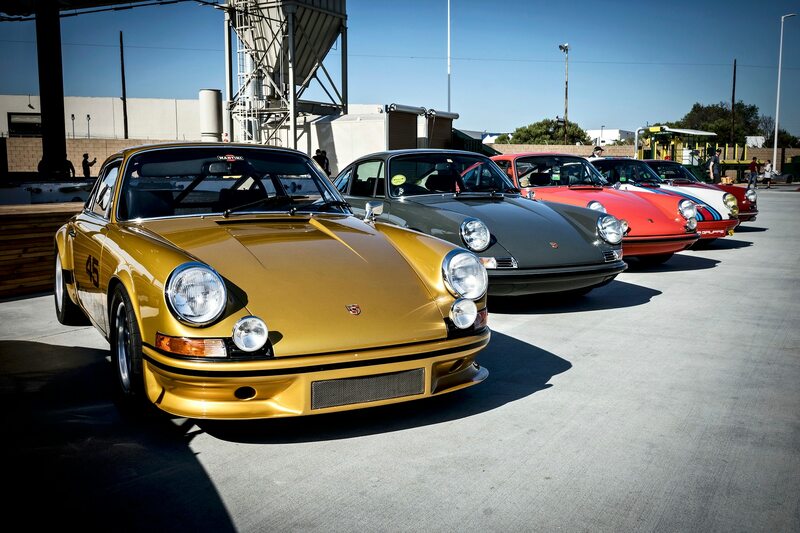 Best viewed as the full-bore racing evolution of the roadgoing RS 2.7, the RSRs were a force to be reckoned with on the racing circuit. 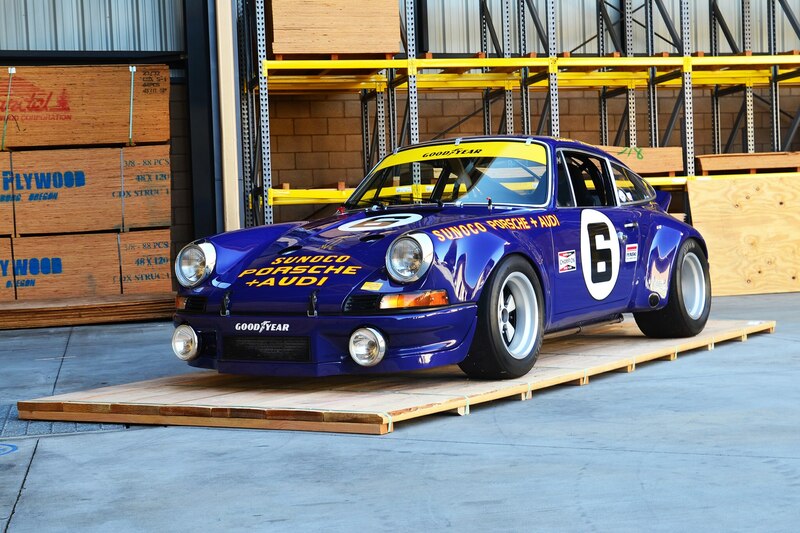 This one in particular was raced by the great Mark Donohue and George Follmer under Penske Racing. 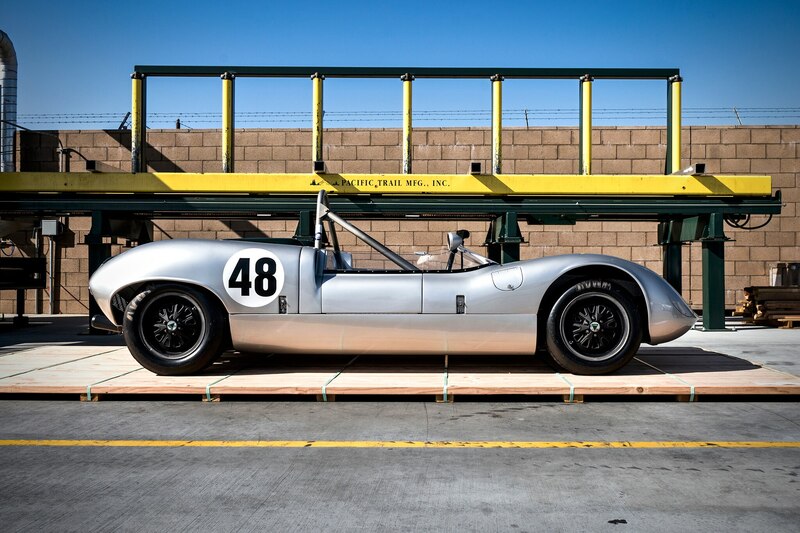 I’ll bet you’ve never heard of this one. 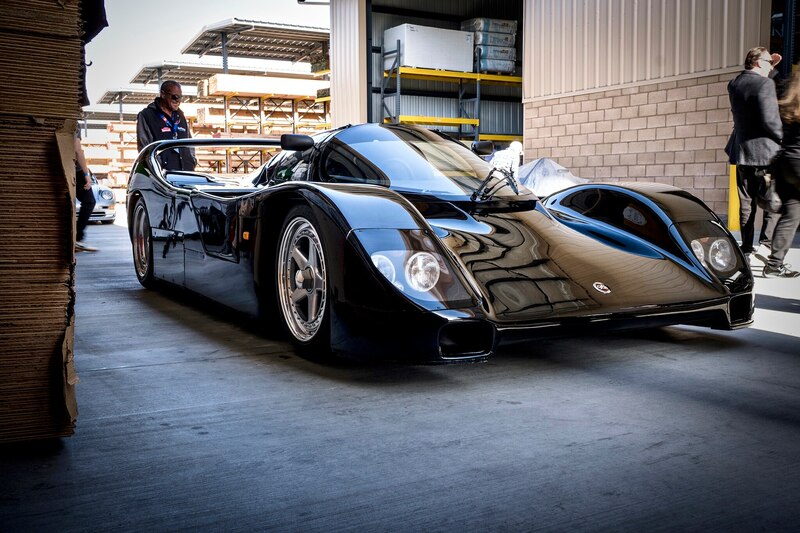 Built from the ground up but based heavily on the design of the Porsche 962, the Schuppan 962CR is one of a handful of insane 1990s supercars that have managed to stay out of the limelight until recently. 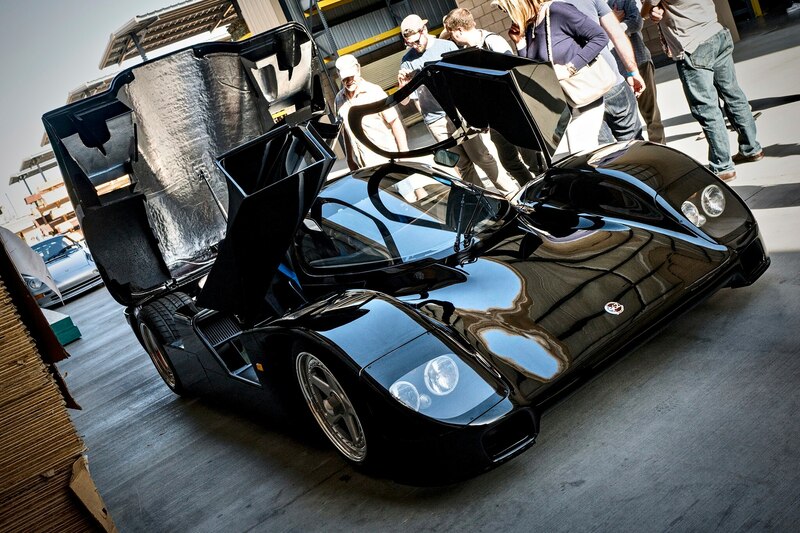 Like the contemporary Jaguar XJR15 and later 911 GT1/Mercedes CLK GTR, this is more race car than street car. 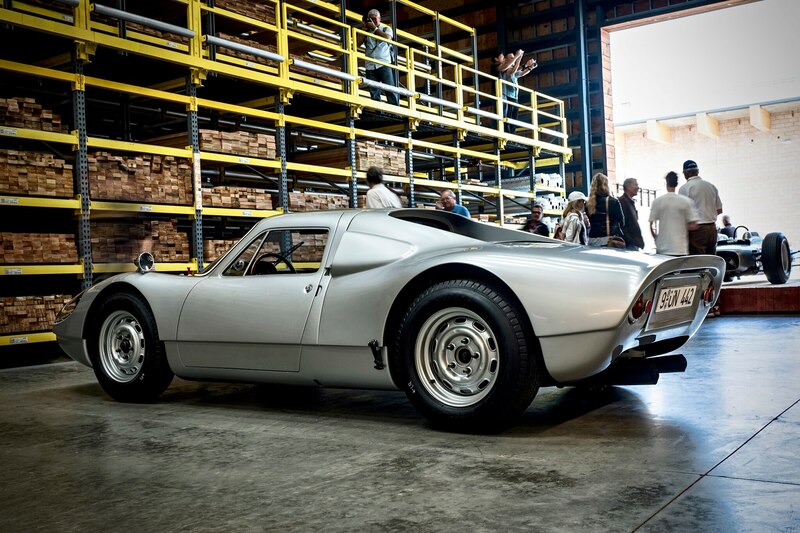 Only six of these 600-plus HP, 2,300-pound weapons were made, each priced from roughly $2 million when new. 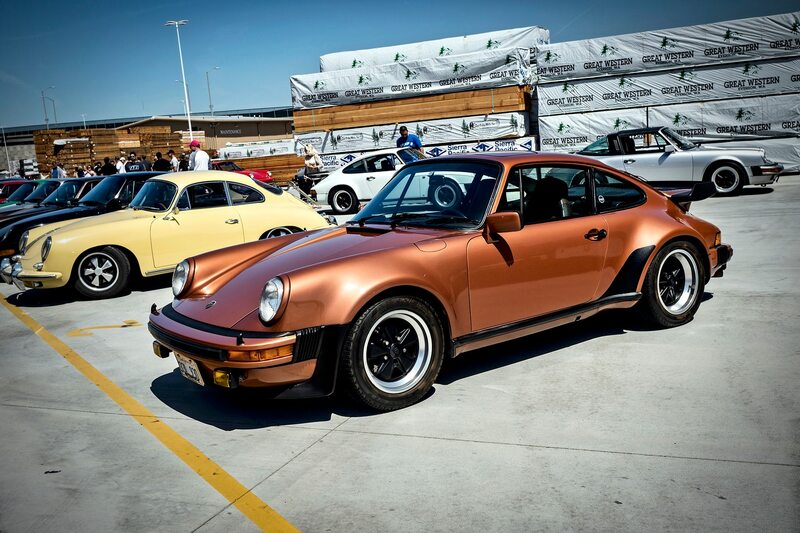 This black example is the best of the surviving cars, wearing just one mile on the odometer since it first left the factory over 20 years ago. 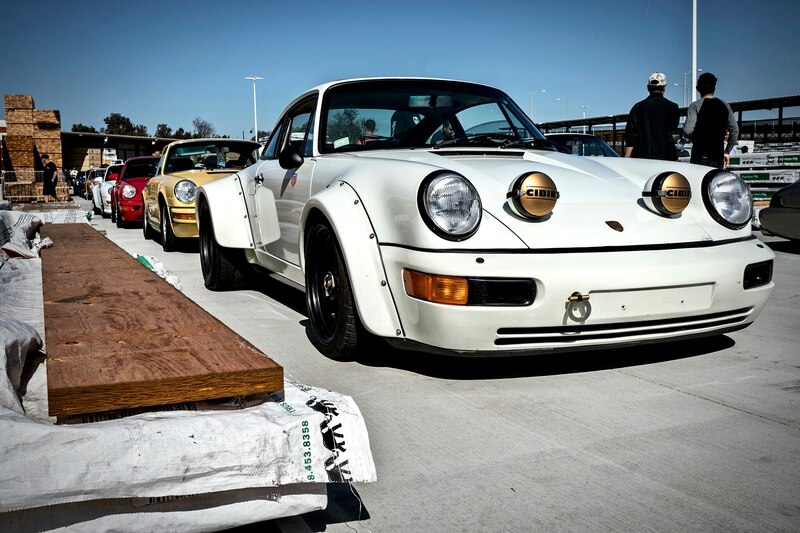 This isn’t the first Porsche used in competition, but it is the first to be purpose built for the race circuit. 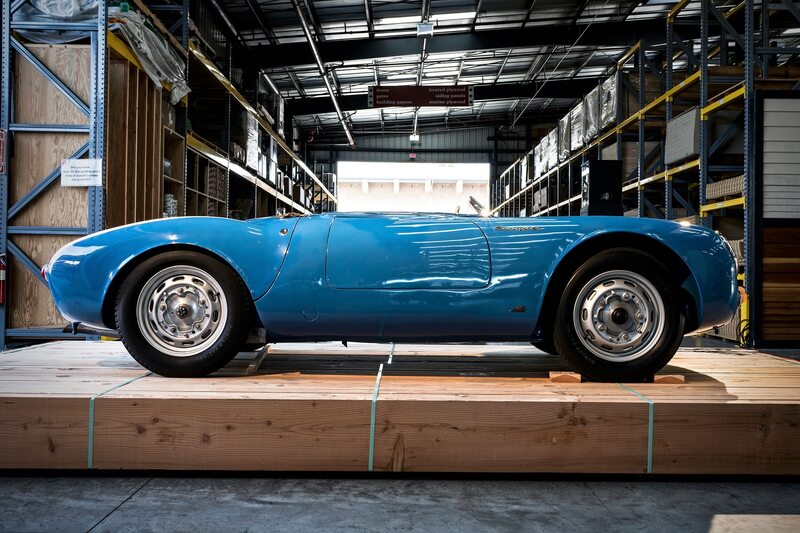 Weighing in at 1,200 pounds, the 1.5-liter four-cam flat-four didn’t need more than 110 hp to take home victories at the grueling Targa Florio and Nurburgring. 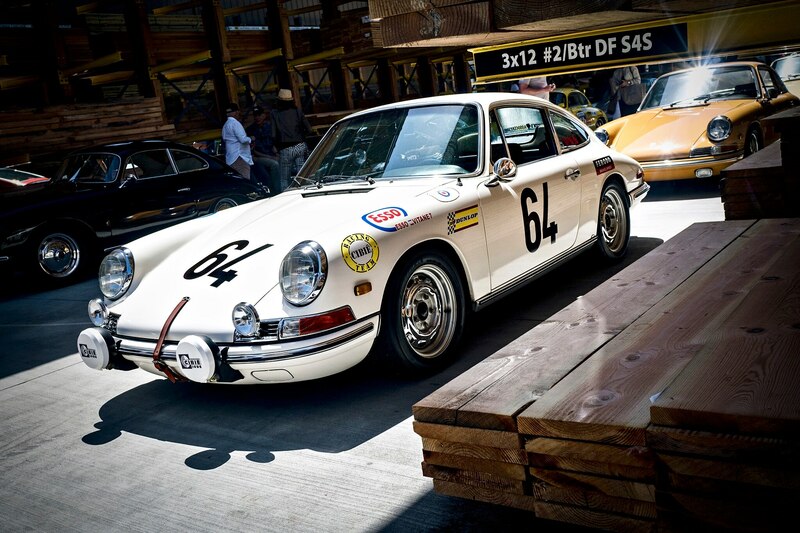 It proved immensely popular with privateers, racking up wins across the world. 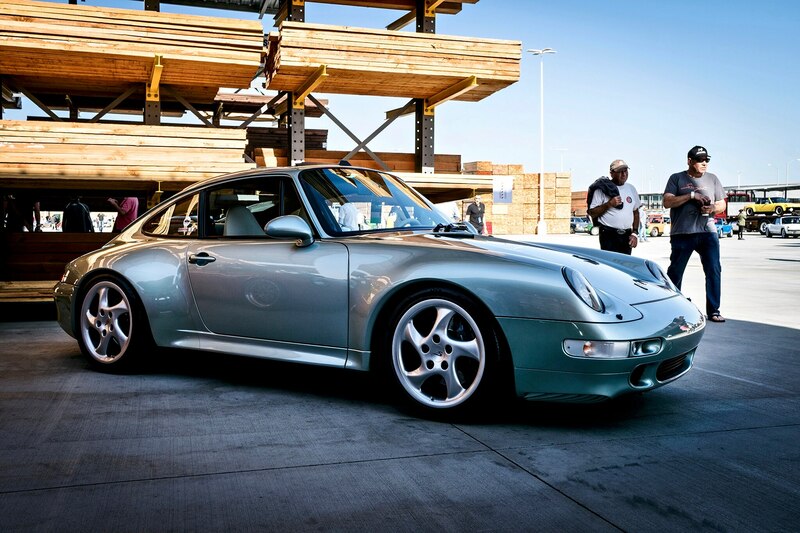 Serving as both the craziest road-legal production 993 and the first to wear the legendary GT2 badge, it doesn’t get much better than this. 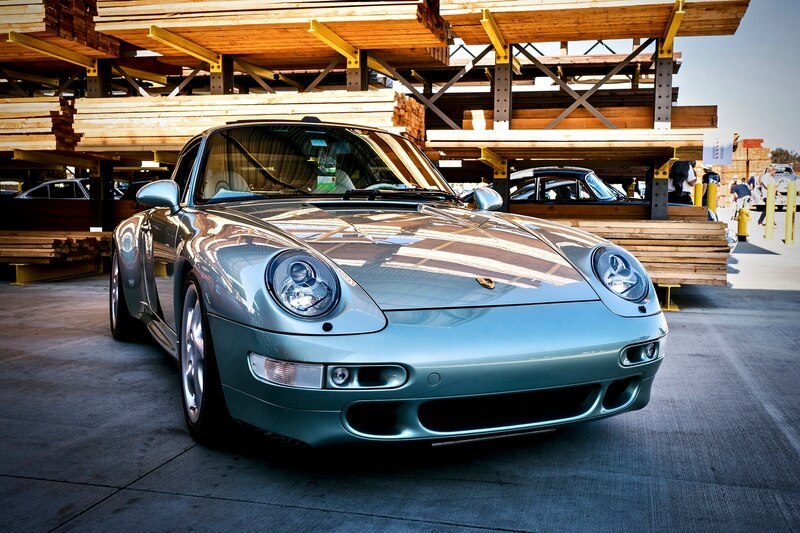 Like all other generations of 911 GT2s to follow, the 993 adheres to the rear-wheel-drive, lightweight turbocharged formula, packing a twin-turbocharged 3.6-liter flat-six that spit out a heady 444 hp and 432 lb-ft of torque. 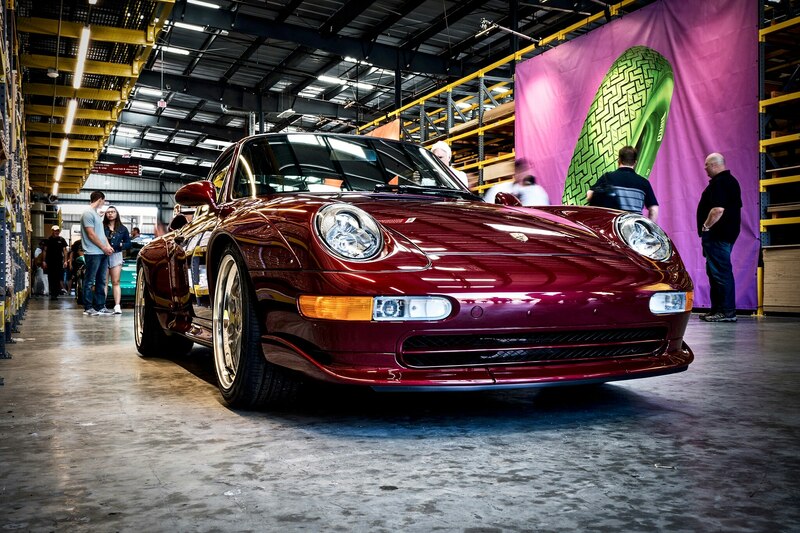 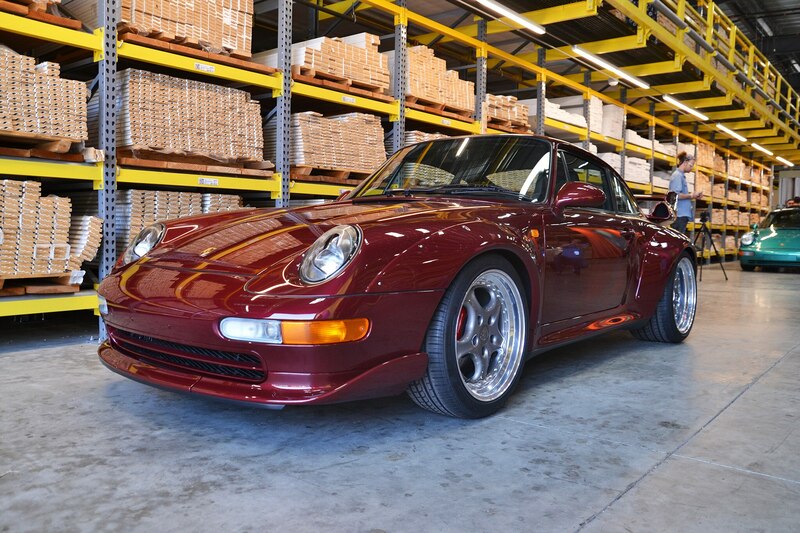 Just 57 993 GT2s were made, making this beautiful ruby-colored example a rare sight. 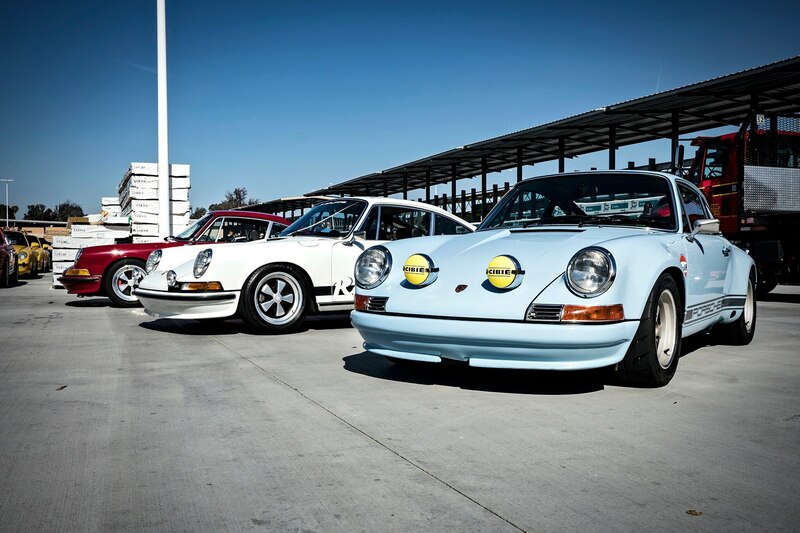 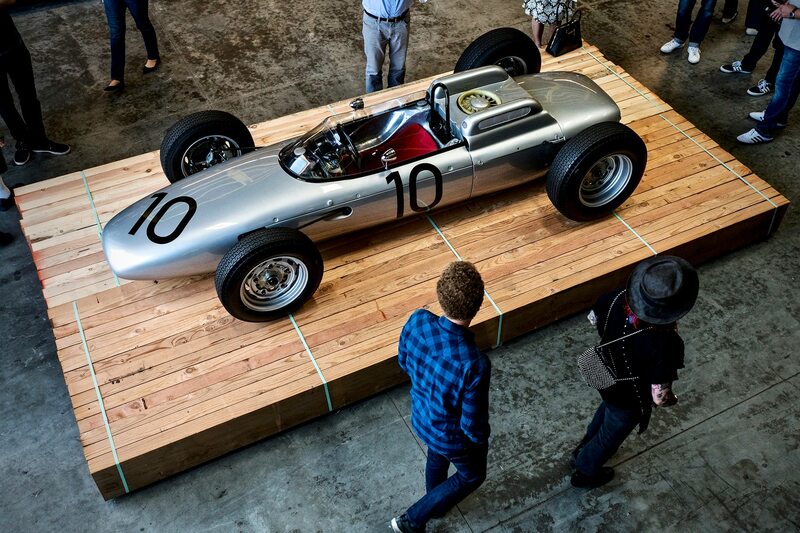 Part of the Luftgekuhlt magic is the impeccable staging – that is, where the curated cars are placed around the venue. 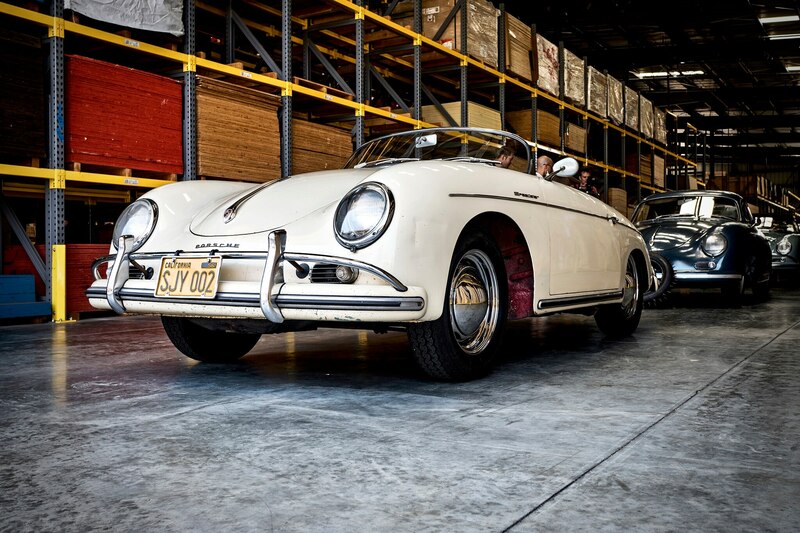 The Luft team successfully tells a story through the layout, and the narrative of Luft 5 was a knockout. 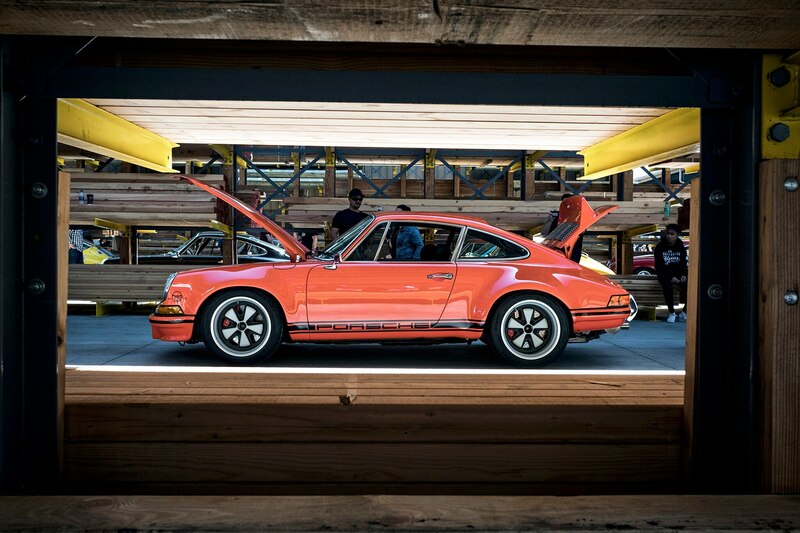 One of the more engrossing sections was a life-sized diorama of the evolution from Porsche 934 to the legendary 935. 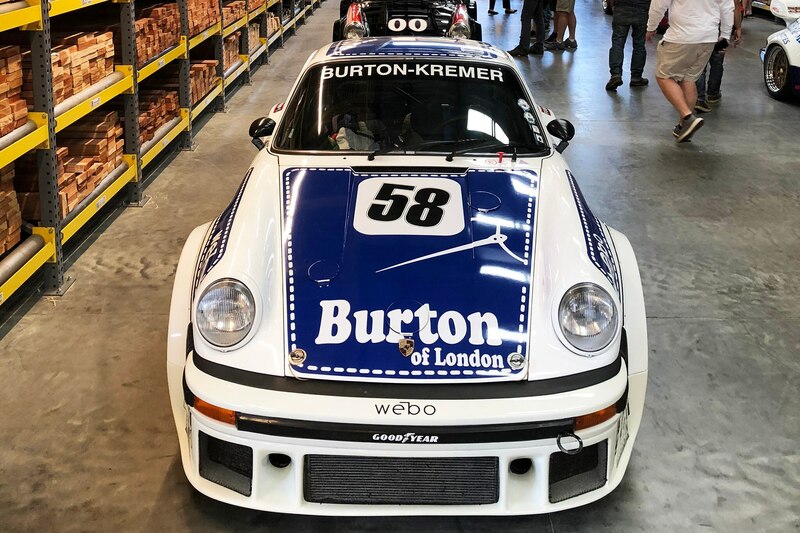 The lineup consisted of four cars, starting with the 1977 Le Mans class winning 934 still wearing its white-and-blue Burton livery. 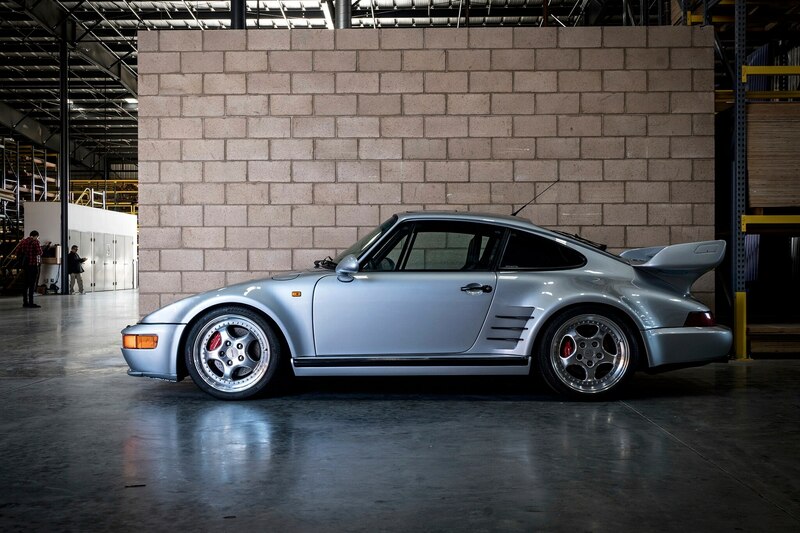 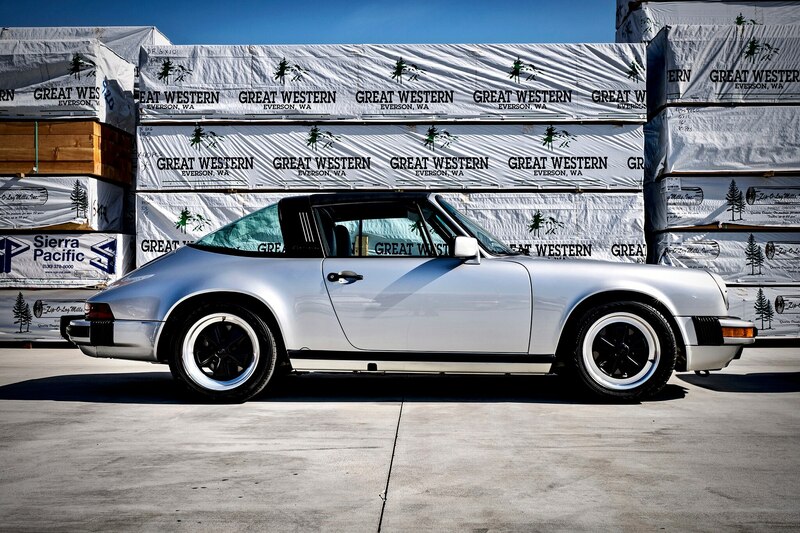 Other than the wild graphics, swollen fenders, excellent centerlock BBS wheels, and a gaping front bumper, it looks similar to the street-legal 930 favored by Wall Street. 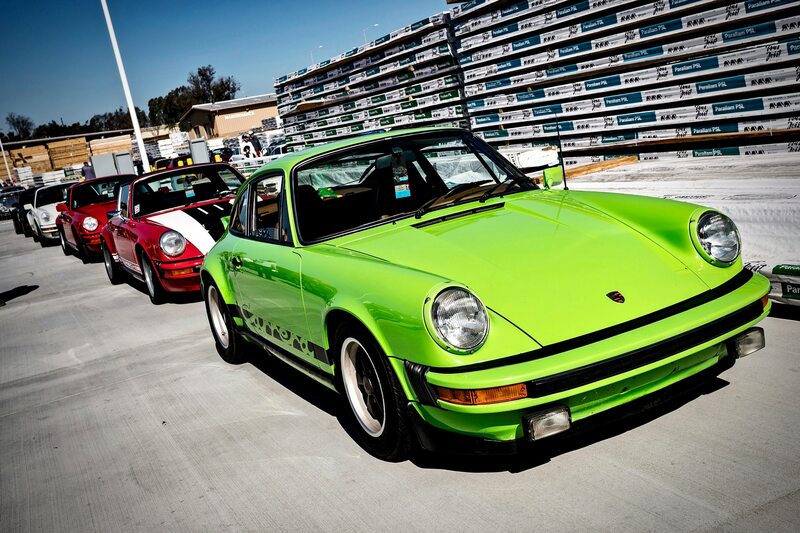 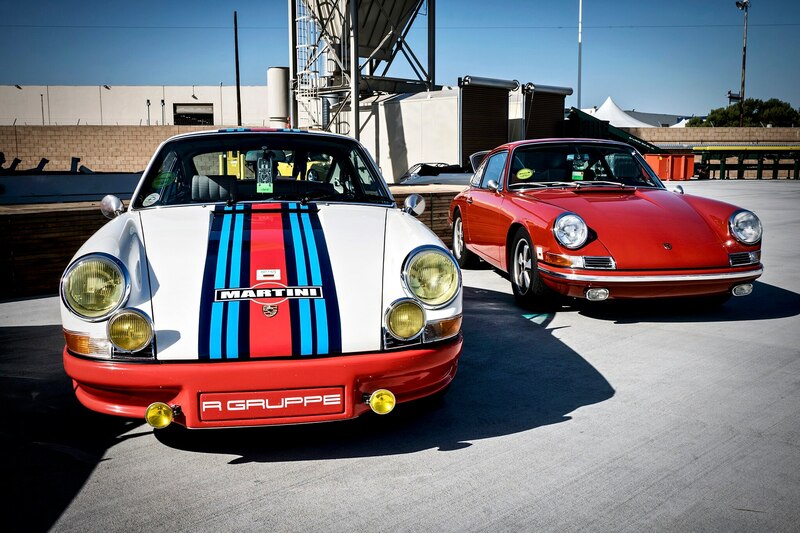 Next, you’re treated to a pair of fabulously aggressive 934/5s. 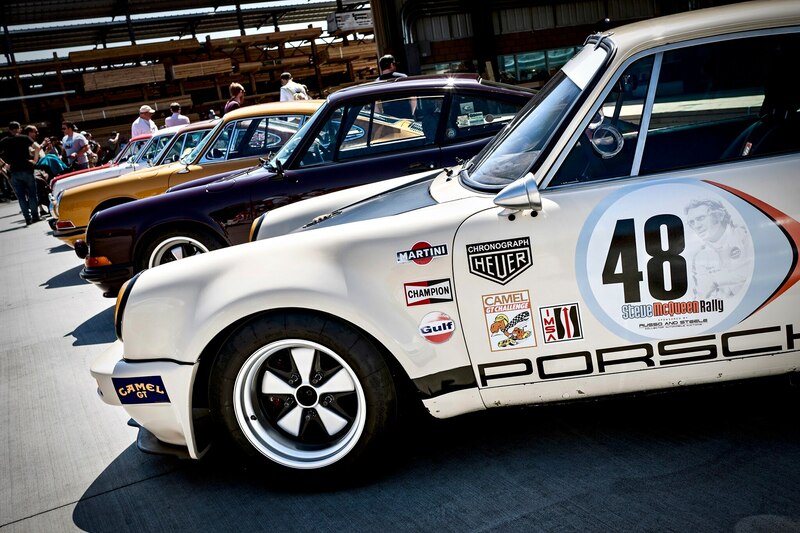 The 934/5s were transitional models that incorporated components found on the faster 935s. 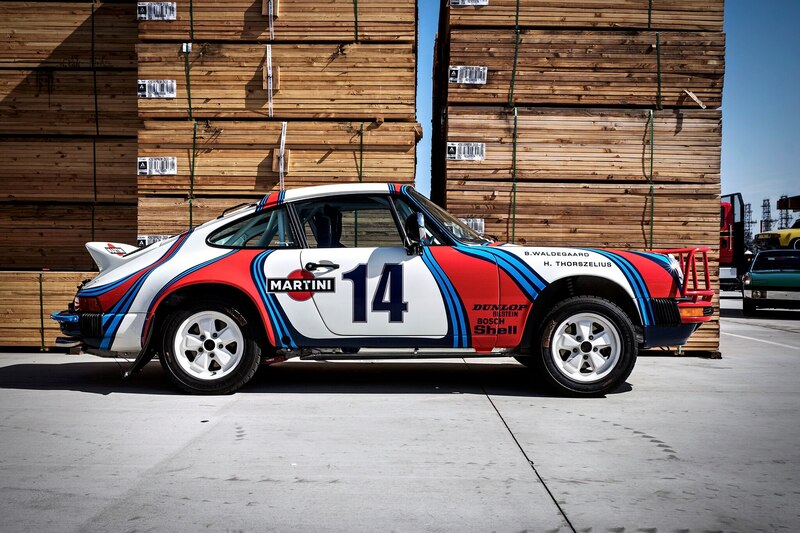 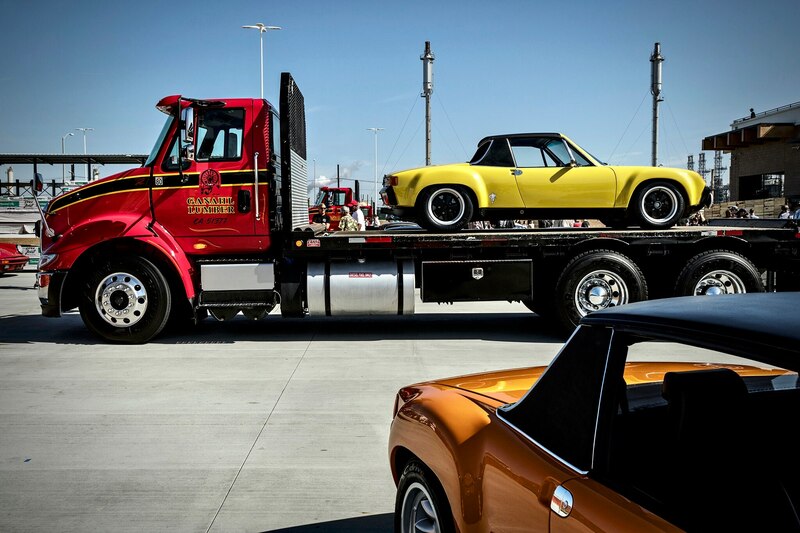 They’re visually arresting, appearing as though someone sliced open the chrysalis and found a half-formed 935. 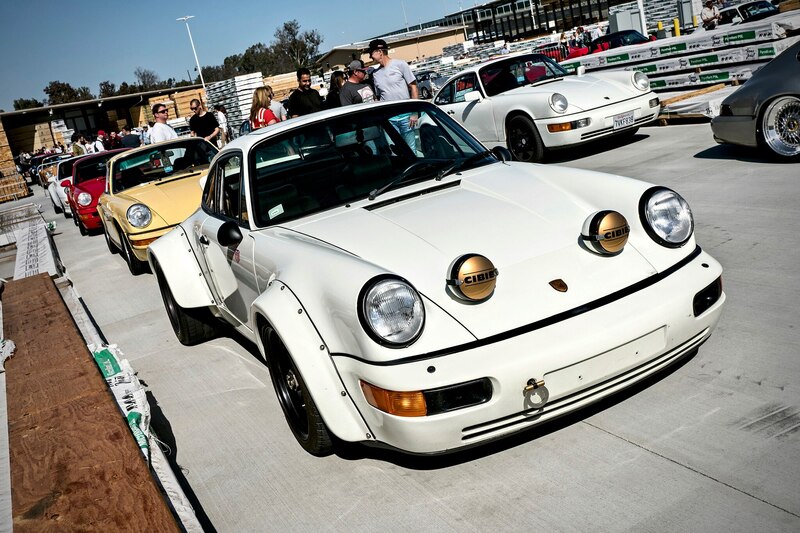 The white 934/5 wore massive intakes on the rear fenders, while the black Interscope 934/5 sported exaggerated cartoonish styling. 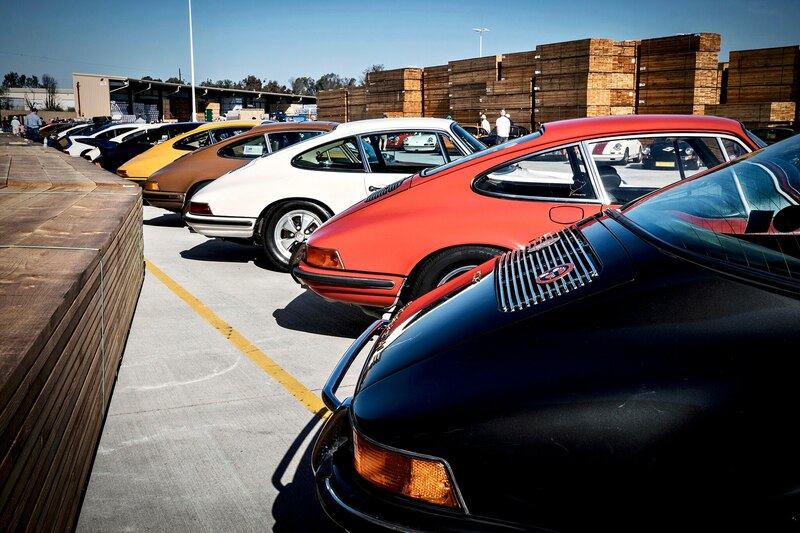 Finally, the 935 sat at the back, wearing a flat nose and incredible function-first bodywork bulges. 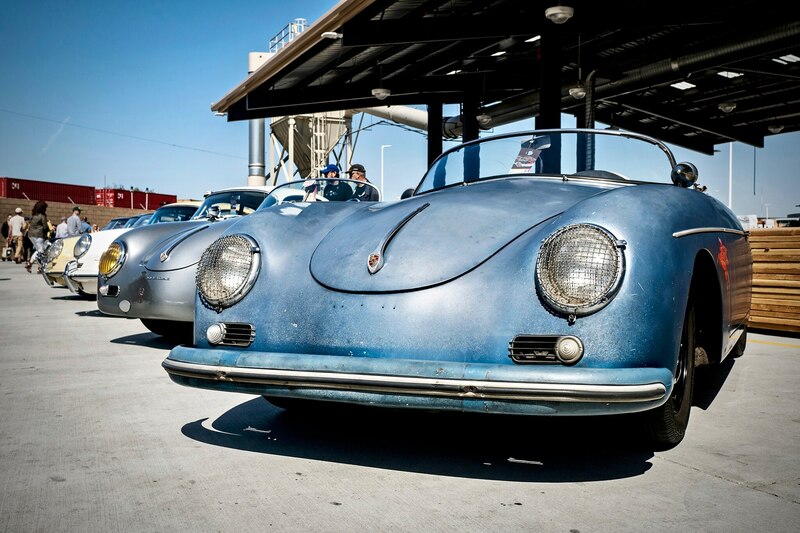 Surprisingly, there was an admirable balance of factory-fresh restorations and regularly driven projects. 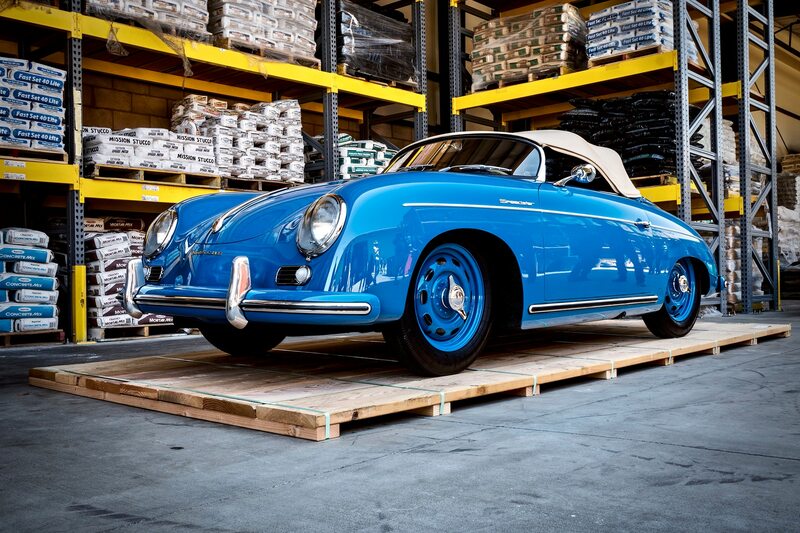 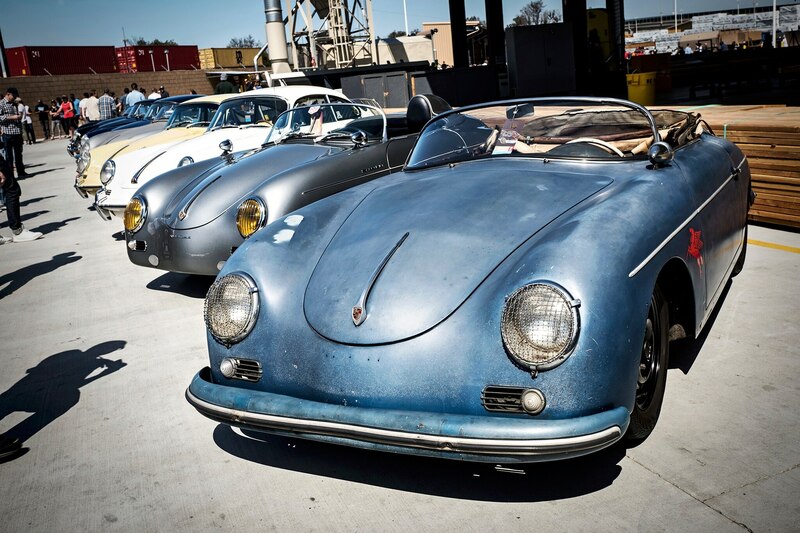 Parked in a long line of 356s, this patina’d 356 Speedster was a refreshing change of pace. 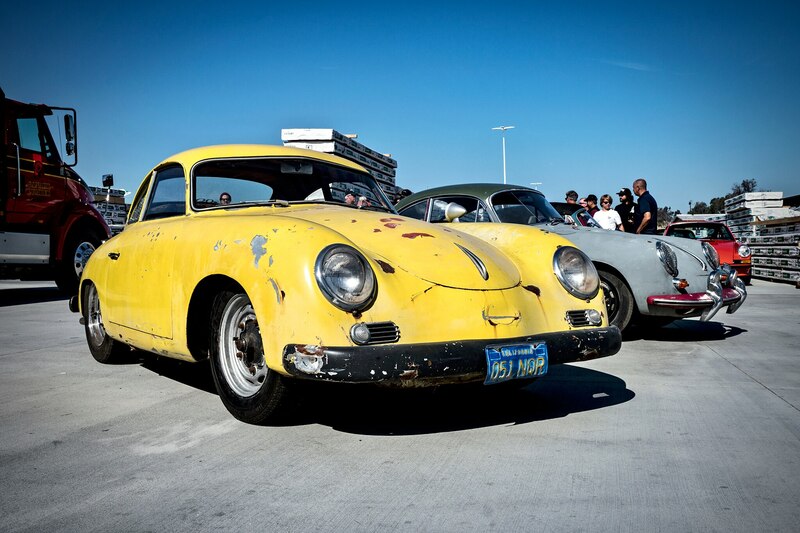 It’s worn-down in the best ways, with the faded paint and broken-in interior. 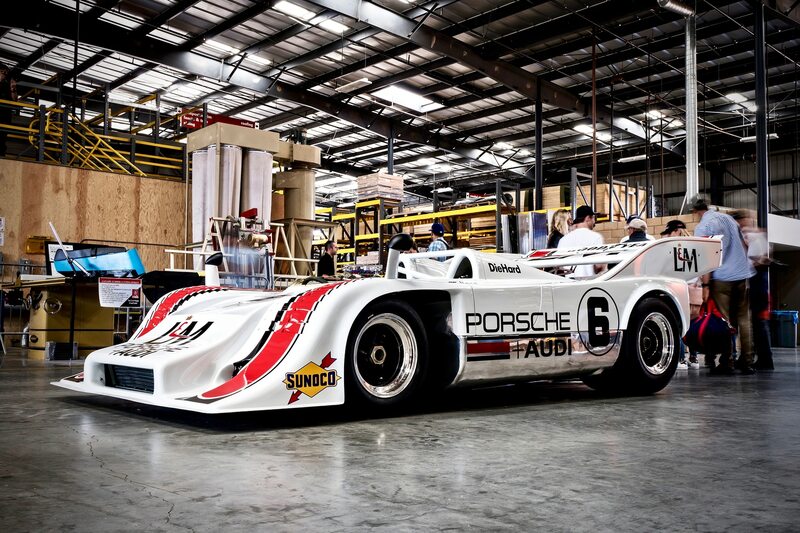 Even when you line up a few modern hypercars, there aren’t many cars faster than a Can-Am 917. 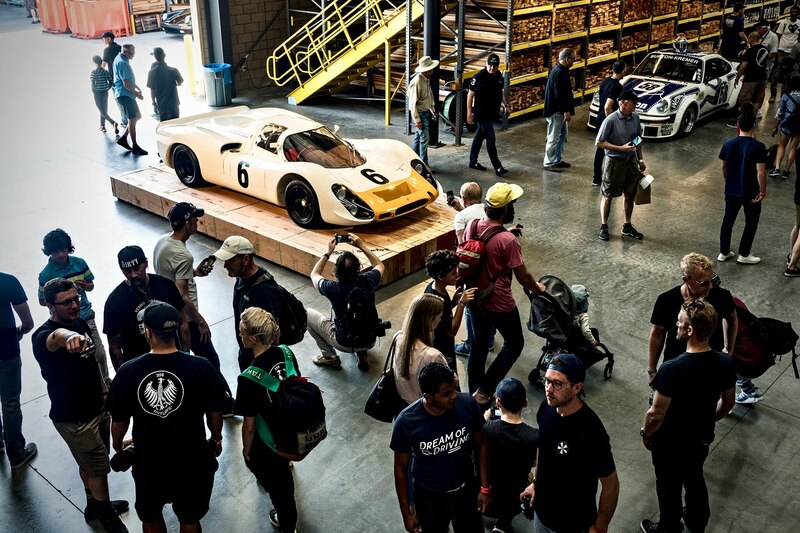 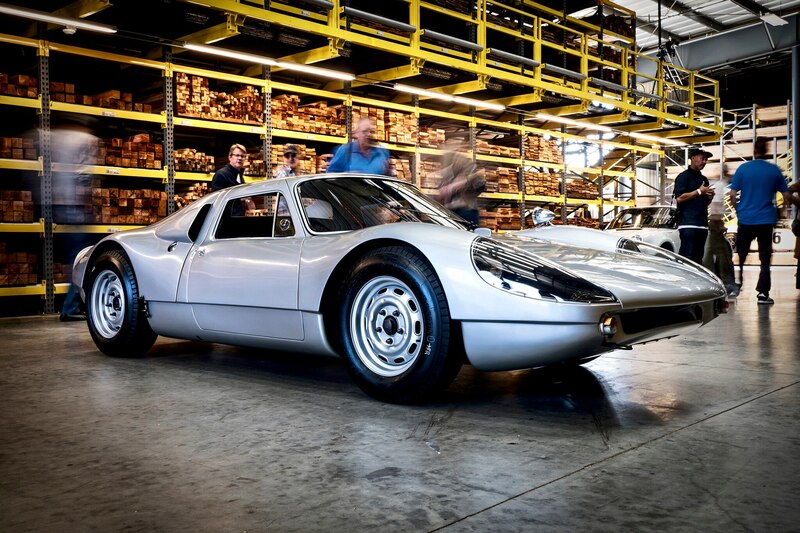 This white 917/10 is a championship winning car, achieving this with George Follmer amd Mark Donohue behind the wheel and 850 hp from its turbocharged flat-twelve.